Discover what many are calling ‘The Natural Health & Wellness Breakthrough ’ – 98alive™. 98alive™ contains no added colourings, flavourings, or preservatives. Our process results in a natural product of 98 active compounds that act in unison with one another to offer an array of benefits...never before encountered in a single product. 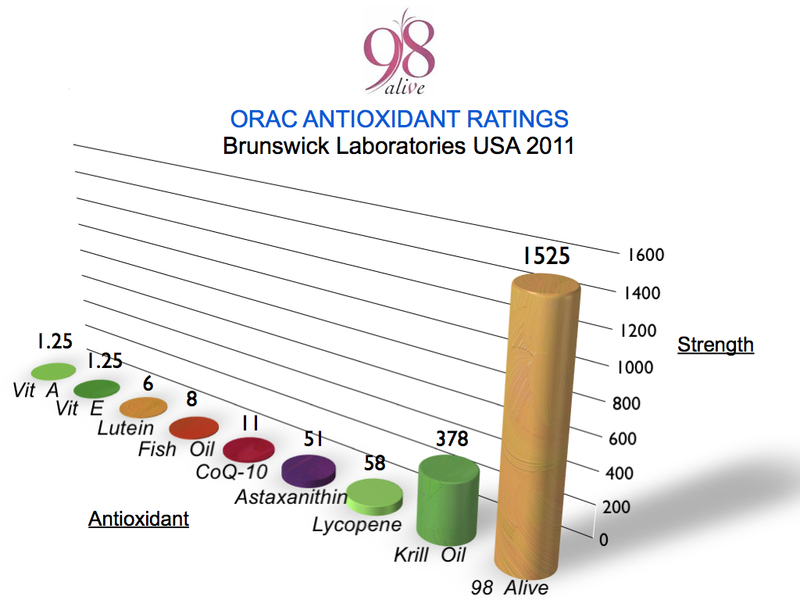 98alive™ Immune Support: One of the most powerful antioxidants available – 5 times greater antioxidant activity than krill oil and 14 times greater than fish oil(Brunswick Laboratories USA). Laboratory proven to strengthen the immune system (Laboratory tests conducted by Griffith University Medical Centre, Australia). Available in 150 mg capsules/Box of 60.